SLA researched numerous studies to uncover where b2b salespeople spent their time. What we found was the majority of their time (66% to 78%) was spent researching companies, hunting for prospects and their contact information, data entry, writing emails, leaving phone messages, talking to existing customers, training and internal meetings. Since SLA already had a very large database of 60 million contact records and had a marketing technology background, we knew we could help salespeople become more efficient by using our data and technology. (Think Data and Software as a Service). At the center of any sales automation program is contact data and an email marketing platform. Email marketing has been the number one sales and marketing channel for many years. Email studies report the return on marketing investment between $14 to $44 dollars for every dollar spent. However, email has some serious challenges. Deliverability has become increasingly difficult; most email service providers (ESP’s) will no longer allow you to send non-optin emails, internet service providers (ISP’s) make it very easy for users to flag your email as spam hampering your deliverability and the inbox competition continues to increase daily. For these reasons, SLA recommends using a sales automation platform for lead generation activities and marketing automation platforms for demand generation and long-term lead tracking, scoring and nurturing. I write about the differences in these strategies on my LinkedIn profile here. Sales Automation Platforms are designed to send a low volume of personalized text-based emails (up to 400 emails a day) on behalf of your salespeople. As opposed to sending all of these emails all at once, our emails are sent one email at a time to improve email deliverability. As a result, open rates average anywhere from 25%-85% making sales automation platforms ideal for lead generation. The statistics prove that the more personalized and relevant your lead generation messages are the more likely you will get a response. The more advanced personalization tactics can include product purchases, expiration dates, birth dates, competitor information, common connections on LinkedIn etc. Subject lines are mostly responsible for email open rates while messaging and offer are mostly responsible for conversion and click-through rates. We have tested hundreds, if not thousands, of email subject lines, messages and offers for our clients. SLA provides free access to our database of 60 million B2B contact records so there is no need to buy data. In fact, the cost of the data alone is more than our sales automation programs. Statistics prove it takes 6-13 touches to generate a sales qualified lead. However, InsideSales recently reported that the average salesperson gives up on a lead after two call attempts. So beyond sending automated email campaigns, we have options to add automated tasks assignments to remind salespeople to call on their prospects more often, connect and follow their prospects on social media and to send personalized direct mail via snail mail. This automated multi-channel marketing approach helps our clients ensure they are in constant communications with their prospects and increasing sales. Please call for details. 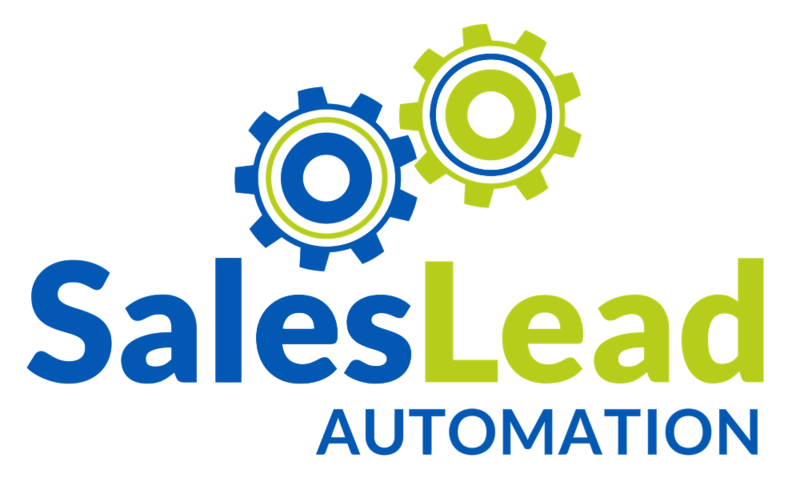 The goal of a sales lead automation strategy is to automate the sales prospecting process, increase the number of responses from prospects, engage in more conversations, identify opportunities, set up additional meetings and close more sales. There are 24 steps to implementing a sales automation program. The steps include creating your ideal customer profile, pulling contacts from our database of 150 million records that match that profile, to setting up the email engine, creating the email messages, scheduling the automated follow-up tasks, define goals, reporting and making improvements to your campaigns and cadences. There is an infographic below that describes this process visually or you can download below for a complete list of all the steps.